There are several steps for restoring digestive health that you can take. And it is not just about restoring it, but also about maintaining it. Below are guidelines on how you can keep your digestive system strong and healthy. 1. Have a healthy daily diet. Eating the right food is key. Meals rich in vegetables, fruits and other fiber-rich selections are the ideal choice. Opting for fresh food products instead of processed meals or foods laden with artificial flavors is also important. 2. Develop healthy eating habits. It is not just about what you eat, but also when you eat. Eat at the same hours each day and try not to skip meals no matter how busy you are. Although times have become more hectic for most of us, always spend time to properly eat your meals. This means having your lunch or breakfast or dinner sitting down, not walking or rushing around while you eat your food. 3. Spread out your meals. It is better to eat six small meals a day instead of eating three big meals a day. The smaller the servings, the better for your digestion. Eating a huge meal in just one sitting can strain the linings of your intestines which can cause indigestion. Also, chew your food well to make it easier for the digestive system to break down the food and distribute the nutrients throughout your body. Moreover, you should avoid eating a big meal before going to bed as your metabolism actually slows down during the latter part of the day. Having your last meal of the day three hours before bedtime will be ideal. 4. Know what to do after eating. Avoid lying down right after consuming a huge meal as this will hinder your digestive system’s ability to break down the food you ate. Engaging in heavy activity or exercising right after eating is also not recommended. The best way is to stay relaxed after eating to give your gut time to complete the process of digesting your food. 5. Exercise regularly. Physical activity stimulates metabolism and is one of the most important steps in restoring digestive health. Exercise also provides overall health benefits, like easing tension and keeping you fit and trim. In addition, exercising will help you manage your body weight. Being overweight is one condition that threatens your digestive system so maintaining a healthy weight is important. 6. Learn to relax. Although there is no definite evidence yet that stress directly causes indigestion, there are associations between stress and indigestion. Being under pressure or feeling anxious sometimes results in loss of appetite or overeating, both of which are bad for the digestive system. Engage in physical activities or exercise regimen, do yoga, perform breathing exercises or do some activity that relaxes you. 7. Stay away from alcoholic and carbonated drinks. Beer, liquor and sodas are not good for the digestive tract. If you consume too much alcohol or carbonated drinks, you do not only harm your stomach but you are also setting yourself up for a weight gain. Have you noticed how bloated you feel after drinking a can of soda? 8. Do without cigarettes or tobacco. It does not matter whether there is evidence directly linking smoking with digestive problems; we all know that smoking is bad for you no matter what. Smoking does not help your bowel movements, contrary to some claims. 9. Cut down on sugars and fatty foods. These are enemies of your gut. Too much sweets and too much oil or fats in your meals are bad for your digestion since they are not as easily broken down as other elements. In addition, they increase your cholesterol level and eating them can also result in unhealthy weight gain. 10. Get prebiotics. These are food ingredients that stimulate good bacteria growth and activity. They also induce metabolic activity, which is always a good thing for your gut. Prebiotics are non-digestible materials that retain their original structure even after undergoing processing. They get into your system and help keep the bad bacteria at bay, thereby minimizing the chances of acquiring digestive illnesses. 11. Take dietary supplements. 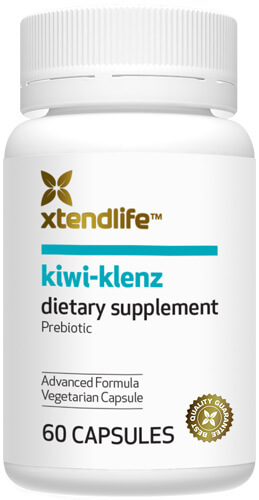 Those rich in prebiotics, like Kiwi-Klenz, should be your choice. For those who are too busy to plan their meals or pay attention to their eating habits, such a product will help keep the gut healthy and can aid in restoring digestive health.